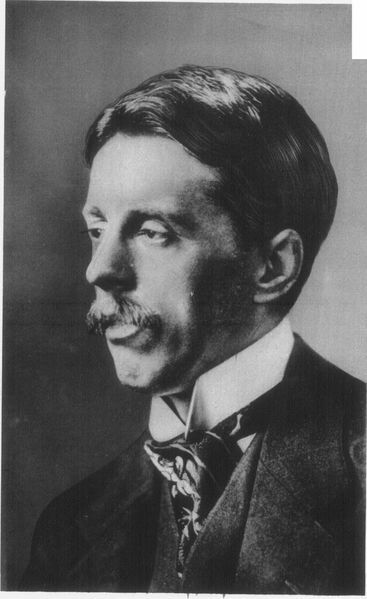 Enoch Arnold Bennett (1867 - 1931) was best known as a novelist journalist, and served as director of propaganda for France during World War I. Interestingly, he wrote the silent drama film, Piccadilly in 1929. Bennett became assistant editor of a periodical called Woman in 1894, for which he improved the quality of its content by creating a series that became the basis for his novel The Grand Babylon Hotel (1902). Bennett wrote short stories, novels, and quite a bit of non-fiction, including self-help books. One of them, called How to Live on 24 Hours a Day (1910) is still quoted to this day in the British press. Other intriguing titles include Mental Efficiency (1911) and Literary Taste: How to Form It (1909). One of his more memorable quotes: "Good taste is better than bad taste, but bad taste is better than no taste." An interesting food fact: Bennett was so smitten with an omelette prepared for him at London's Savoy Hotel which incorporated smoked haddock, cream and parmesan cheese, that he insisted it be prepared wherever he traveled. It remains a regular offering on the Savoy's menu to this day, "Omelette Arnold Bennett." We can that an inspiring literary tidbit.